Who the hell doesn’t need to exhale right now? Last night as we were getting ready for bed, my boyfriend the Aquarius muttered sleepily, “This week has just flown by.” Sure, this is something we all say or hear time and again, but when I paused to really take in his statement, I realized that the week truly had for me. But, it was really because the week had been chock full of business and life and communication. And transformation. Yes, Pluto’s shift out of retrograde has definitely urged the energy forward in a massive way. Change is, by all means, afoot. And she is taking no prisoners. 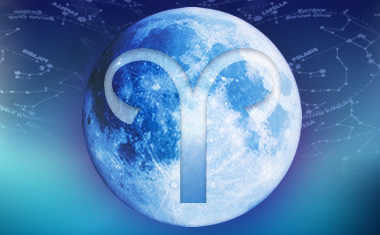 This energetic twitch has built us all up to this weekend’s full moon in Aries, a time of release. And who the hell doesn’t need to exhale right now? But with Aries around us, it ain’t gonna be easy to, as Whitney called it, shoop. I feel like we’re all barreling toward some sort of goal or hoped for outcome right now, and Aries only amplifies that. Yet, as I said, a full moon is a time to let go of everything that’s been building up these last few weeks. It’s not necessarily the cool down in a workout, but more so the halfway point, when we pause for a nice sip of water and a few breaths to help us collect ourselves. Yes, we all feel the need to accomplish something – especially during the crazy swelling period of 2012 energy. Some of us are moving methodically ahead, paying attention to the signs and road posts helping to guide us to our destination. However, others of us have been pushing ahead without much awareness of the world around us, so perhaps we are feeling a bit overwhelmed by the transition occurring in our worlds. Or taken by surprise when change finds her way to our doorstep. Either way, we need to take this important moment to release the tension we have recently collected. Now how does Aries best do that? If there is ever a time to be blowing off steam, this is the time do so – that is if you need to. If you have been walking slowly while everyone else has been in fast motion, you may just have an opportunity now to access more creativity than you have in a while.